Lately, my extra effort has been in a daily practice of design and illustration. It’s fun, but also a good exercise for my design and art muscles. Hopefully, some of the best bits will get used for Moonish Goods, too. T-shirt, anyone? A small grouping of daily designs for election time. A quick personal illustration project that may evolve into some merchandise. So pleased with how this sign for Friction Quartet turned out. 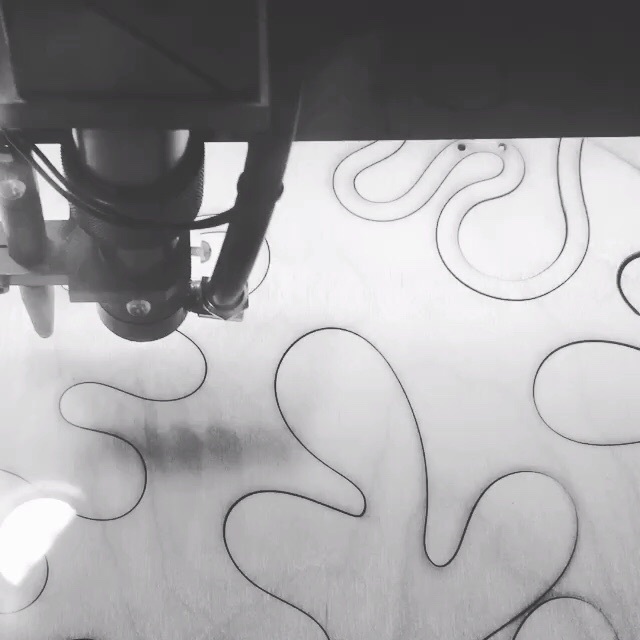 Laser cut out of birch ply with a fractured pattern around the music group’s name. I added a second trough behind the wooden sign to add movable acrylic shapes. I wanted to have a way for Friction Quartet to customize and compose their own sign each time they used it. I have had a lot of current-events fueled anxiety lately and one big help has been to channel my energy and rage into making. I designed this poster for the Keep Families Together Rally. While political posters and political artists have been a huge influence and motivator for me as both an artist and a designer, this was my first time designing one. El Cucuy is the Mexican/Latin American equivalent of the boogeyman, a mysterious, ambiguous monster that kidnaps children. I thought it an apt metaphor for Trump and his administration’s atrocious treatment of immigrants and their child separation policy. But if you’re not familiar with El Cucuy I tried to signal the monster vibe with dark and drippy contours and colors inspired by vintage b-movie horror films. I had originally intended to laser cut this out of wood or acrylic and possibly use as a stencil which is why all the pieces connect and web out. In the end I had it printed before the protest. Definitely helped me feel like I DID something, even if it wasn’t much. A couple of months ago I had the opportunity to laser cut these elegantly minimal conference room signs. Each one was laser cut out of birch plywood, but then stained a beautiful red oak. They're now hanging in the offices of CCOF (California Certified Organic Farmers). Wonder where I've been? I've been with this thing. Oh, and working. Trying to find a balance (if such a thing even exists) between the two. Scale is weighing heavily in the little one's favor. I am still taking custom orders though and will share some of those soon. 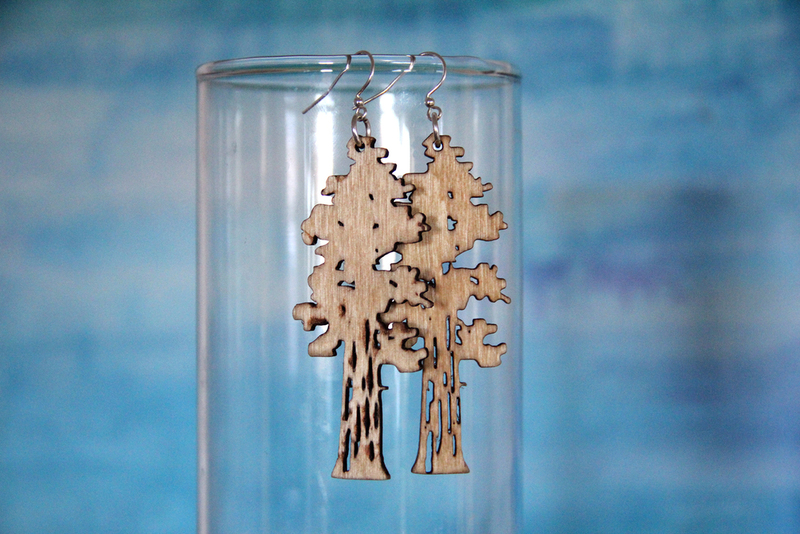 Now on the Etsy shop: Sequoia Redwood earrings laser cut out of beautiful birch plywood. So excited about these new Window Bones. 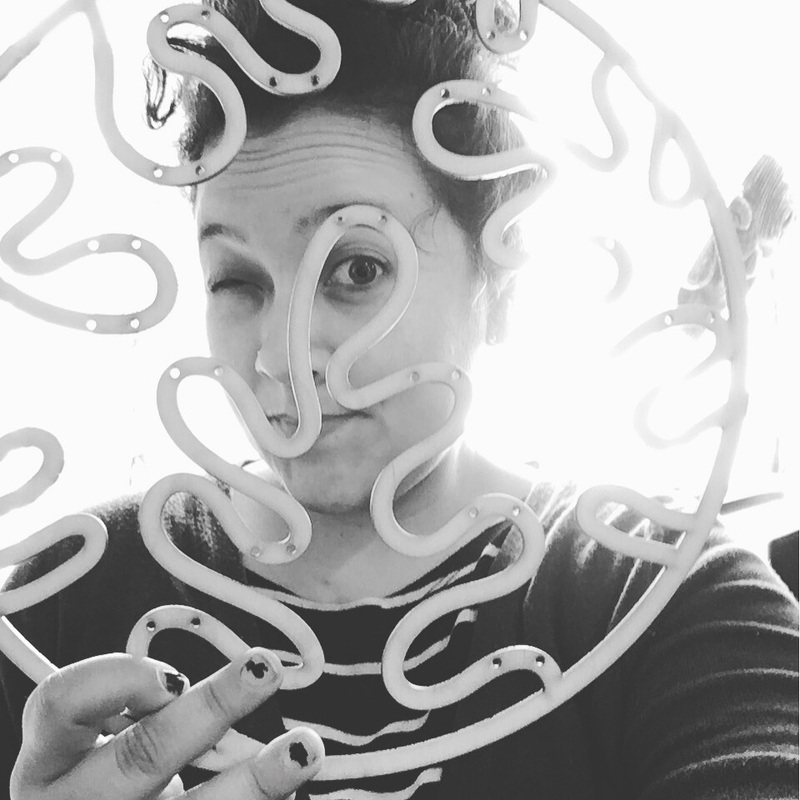 I got a bunch of neat acrylic from Inventables, including gold-mirrored acrylic, glitter acrylic and some more fluorescent stuff. 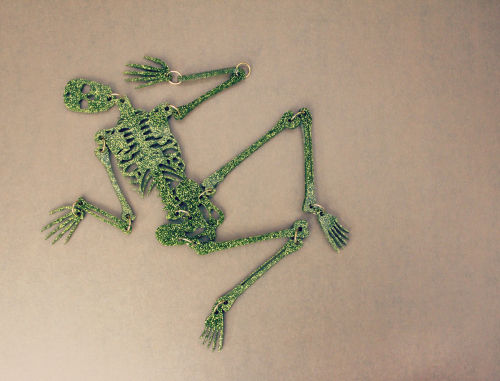 My sister, an anthropologist, mentioned one day how cool it would be to have a laser cut skeleton, so I made one for her. They’re fastened at the joint and come with several suction cups allowing you to pose them in your window. Oh, and they’re available for sale now, too. Check them out on my Etsy shop – I’ll be adding more colors and sizes shortly.